Order extra ice pack gel inserts to keep in the freezer ready to pop into your insulated lunch bag or cooler. Pick out replacement lids in a new, fabulous color, like orange or lavender. 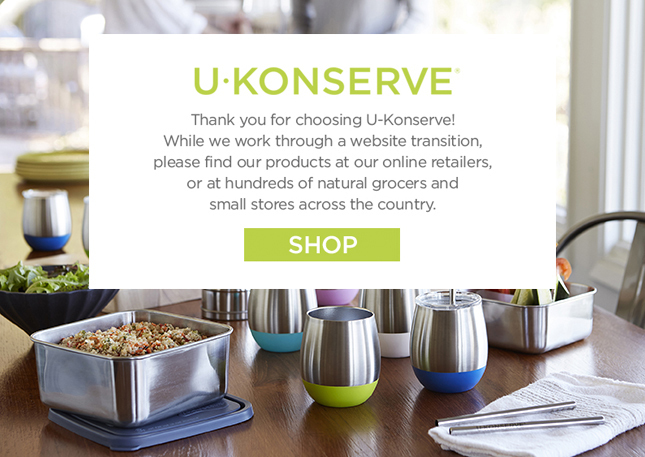 Extend the life of any of your U-Konserve containers, food jars and tumblers with replacement rings, lids and dividers.